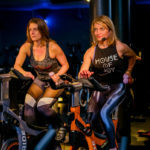 Whether at a gym or at home, exercise equipment alternately mocks or bores us, depending on the weather and our visceral reaction toward spandex that day. Fortunately, Westport is rife with boutique fitness studios. 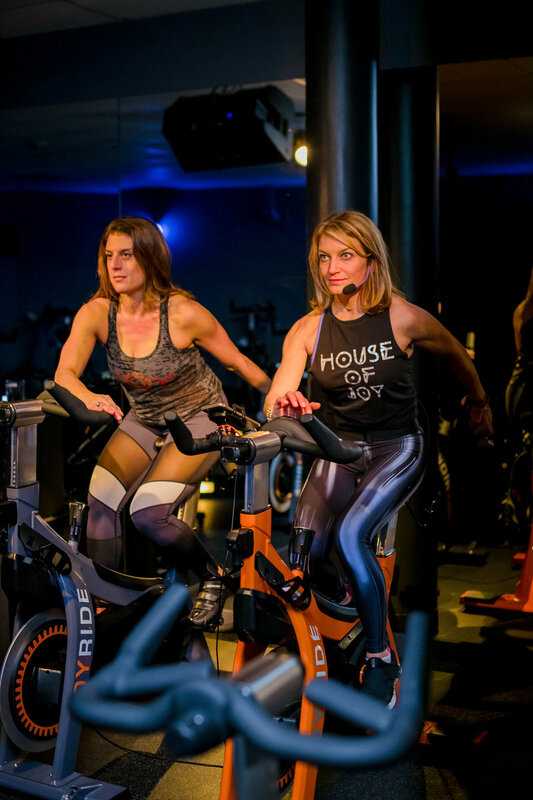 You can tone, stretch, freeze or—I’m not kidding—electrically stimulate your muscles into the tight, lithe body of your dreams. Or at least try to. 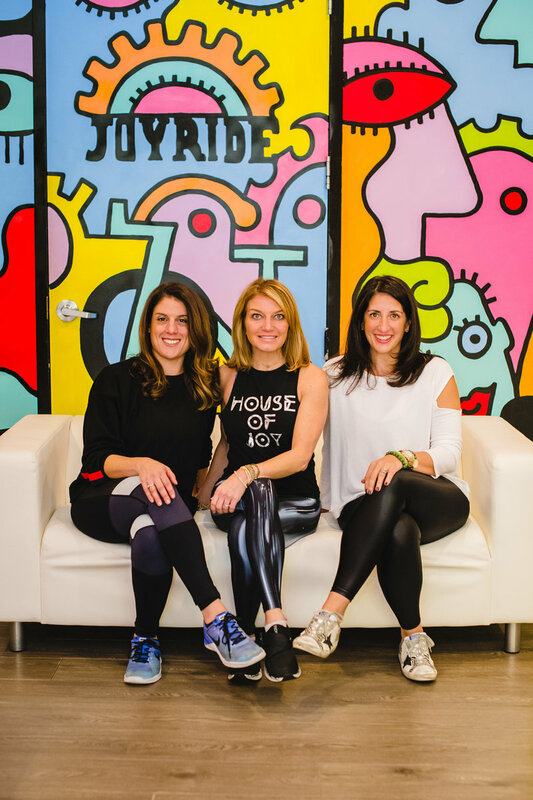 One of the hottest of these is Joyride, the exuberant mom and mom cycling studio that fly-wheeled onto the scene more than 7 years ago. 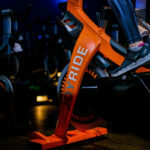 For thousands of fitness-minded folk, Joyride’s made exercising an anticipated event rather than an I-have-to-go-because-I-paid-the-dues chore. 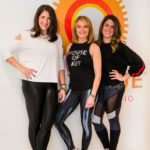 From spinning to sculpting, boxing to barre, Joyride offers a myriad of top-flight exercise options with stellar instructors and infectious energy. Yes, it’s as hard to imagine Westport without Joyride as it is to imagine the Steinkraus Cohen bridge without significant traffic delays. 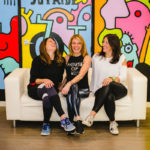 But it’s easy to overlook the impact its fitness classes have on one of the most important facets of wellness: community. 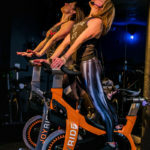 While their accomplished instructors can compel you “out of your comfort zone” (a popular Joyride creed) it’s the communal energy and camaraderie that help you stay there and, through a spirit of competitive teamwork, elevate your workout and strengthen your conviction to surpass previous levels. 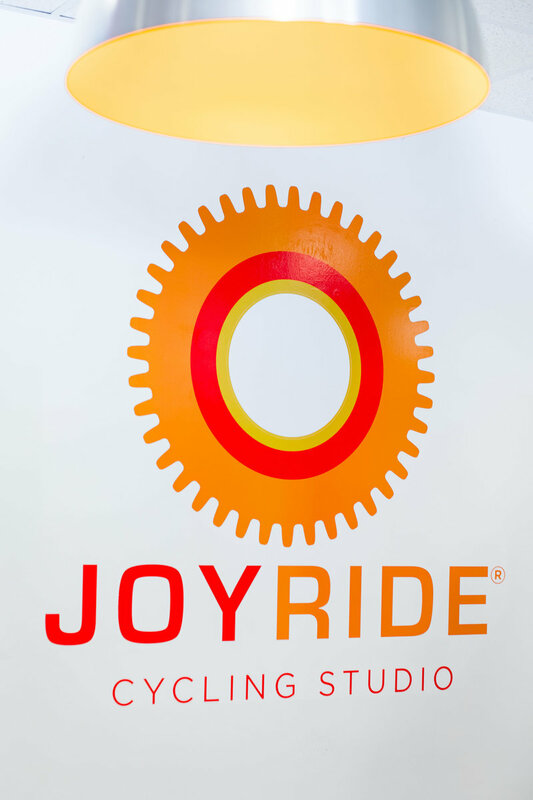 And as Joyriders’ physical strength increases, so does their mental empowerment. 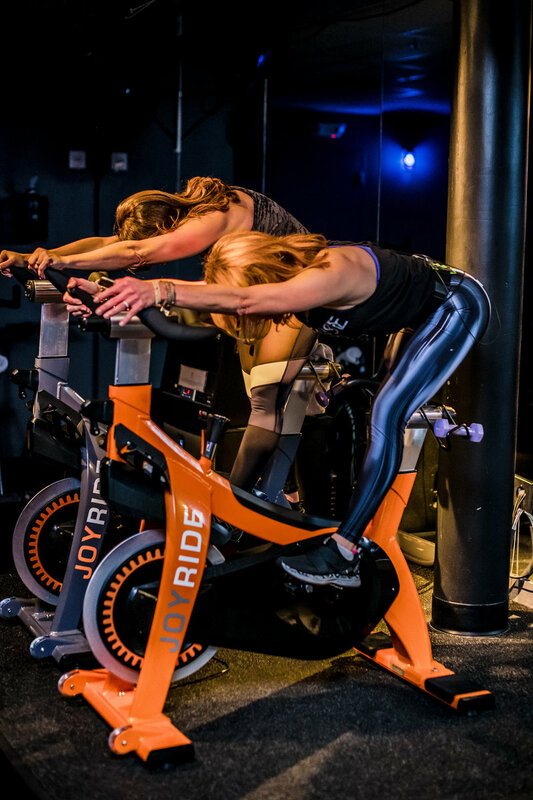 “On an almost daily basis, we hear grateful riders crediting Joyride with opening their eyes to their own power that they had forgotten they had,” co-owner Rhodie Lorenz says. 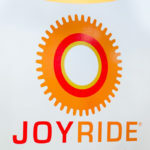 One woman, lured into Joyride by the happy colors on its logo, has gone to the studio almost every day since it opened. 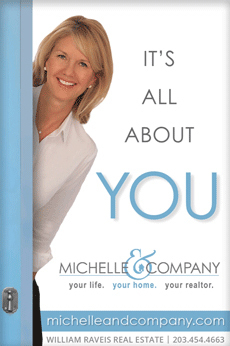 To date, she has more than 3,000 classes under her belt. Another loyalist, while seated at a speech by President Obama, briefly excused herself to reserve a spot in her favorite spin class. 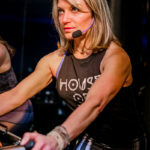 Still another Joyrider credits instructor Mackenzie’s mini-mantra, “Why not?” for helping her face life’s daily challenges. 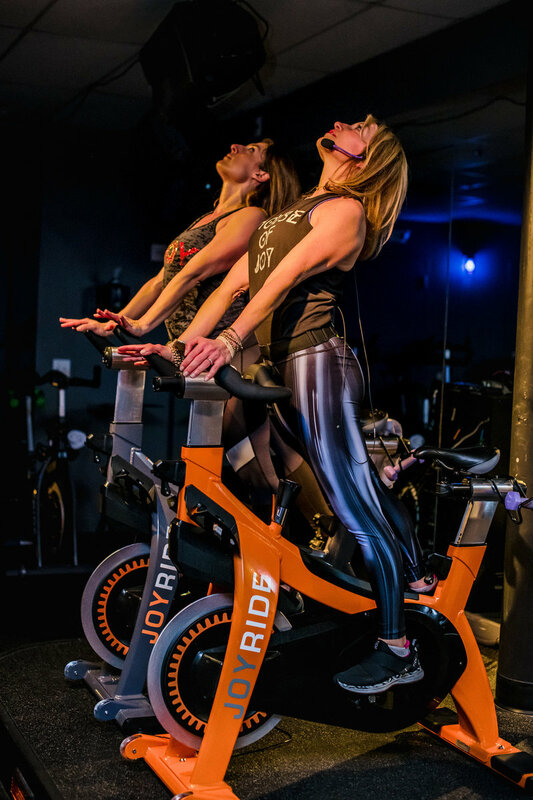 From cancer patients to victims of abuse to caretakers of chronically ill family members, Joyride is a welcome respite to their stress and an hour in which to forget their problems and focus on being their best selves. 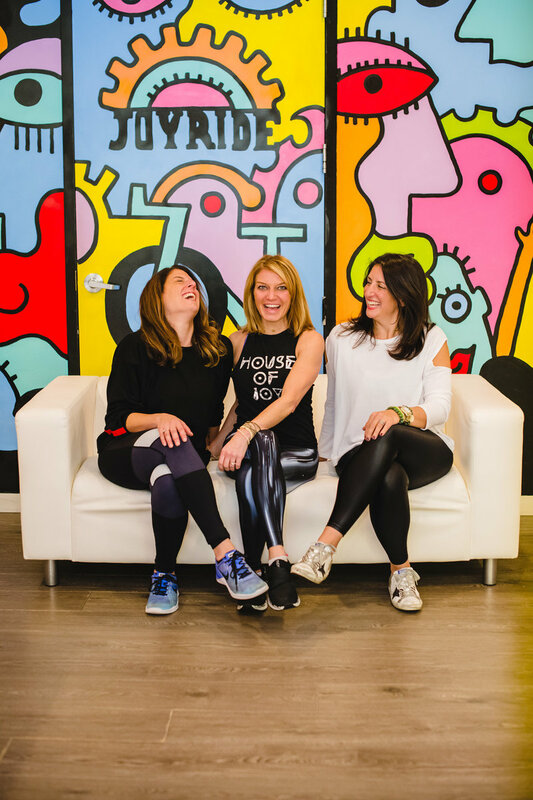 “It’s incredibly gratifying when customers tell us how we’ve changed their lives, saved them from depression and unhealthy living, and provided them with a safe and positive community where they feel like they belong. 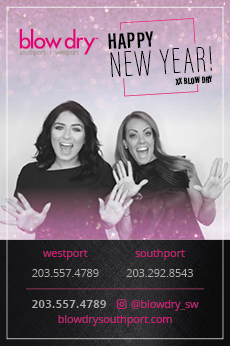 It’s the greatest gift imaginable,” co-owner Amy Hochauser says. 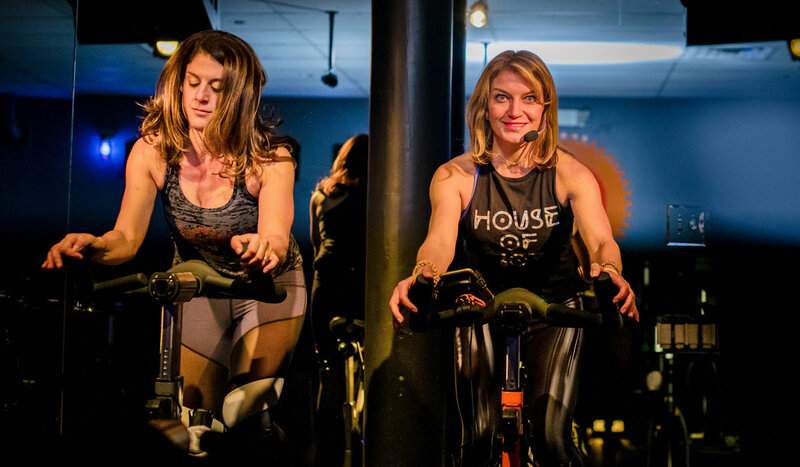 Among Joyride’s most significant gifts are the ones it gives back: charity rides. 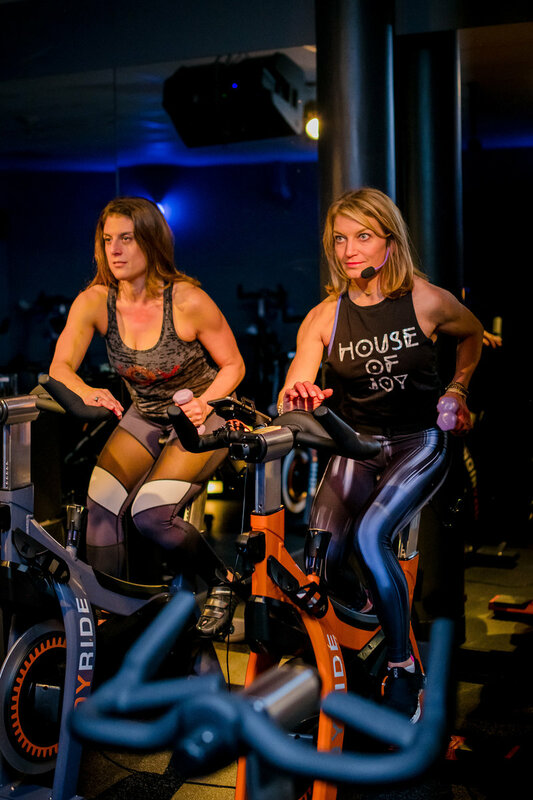 According to Amy, fundraising rides are “Joyride at its best,” creating a special energy that makes people feel more attached to a cause. How attached? The studios have raised more than $600,000 for various national and local causes. 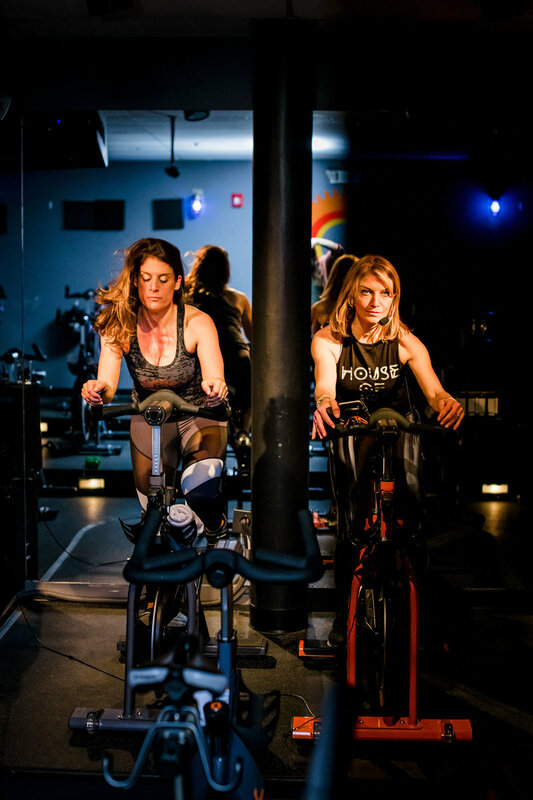 Take Katie, a Joyride enthusiast who lost her sister to suicide in 2012. 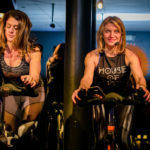 Katie began spinning to work through her grief and became a board member of the American Foundation for Suicide Prevention to help others suffering a similar tragedy. 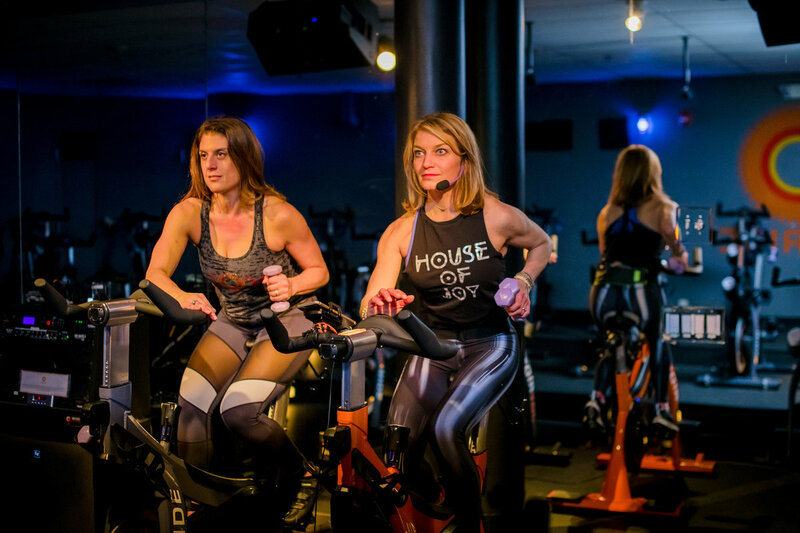 She approached Joyride with the idea of a fundraising ride for AFSP’s annual Out of the Darkness walk. 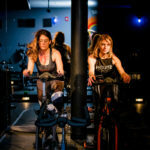 “I thought exercising would appeal to a large number of people, and it’s more social than just asking for money,” Katie says. 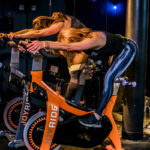 Joyride loved the idea, and Rhodie’s father-in-law, a psychiatrist, volunteered to address the crowd of charity riders, impressing upon them the importance of de-stigmatizing mental health issues. 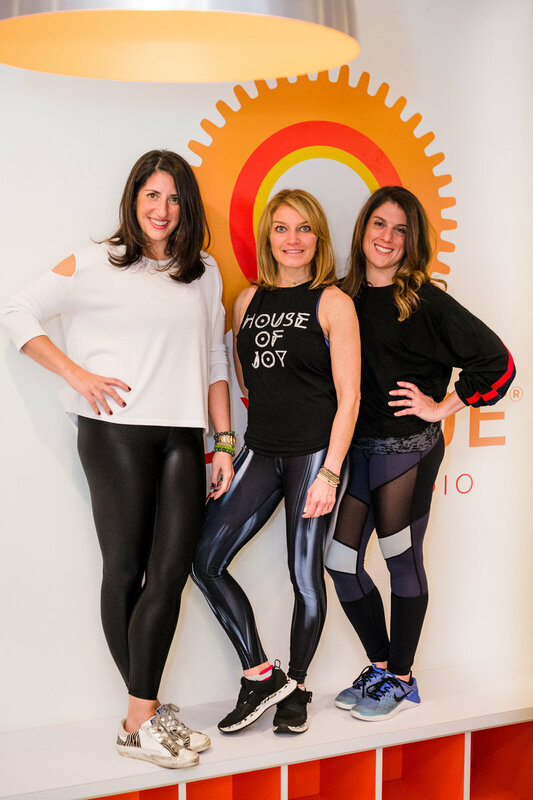 Another Joyrider, Britt, discovered Joyride when she moved to Westport from NYC five years ago with her husband and two young children. Two years after the move, she became pregnant with identical twin boys. In December 2015, an in-vitro examination showed one of the twins, now Evan, had a congenital heart defect. Specifically, the right half of his heart was missing. Bereft, Britt confided the diagnosis with Mackenzie, one of her favorite instructors. Mackenzie asked if she could share Britt’s story with another Joyrider who, tragically, lost her first baby daughter to a similar heart defect years before. 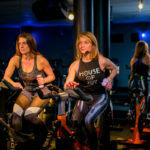 With Rhodie, they organized an annual spinning fundraiser during CHD week. 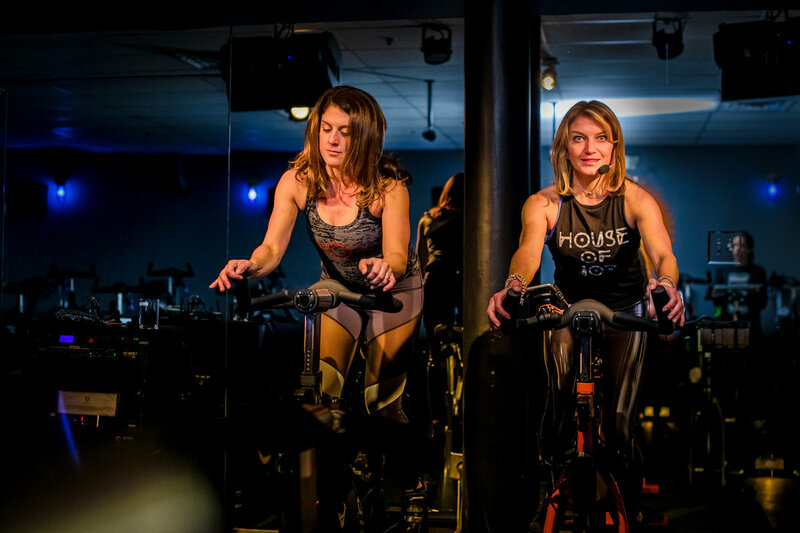 After only two rides, they’ve raised more than $40,000 for CHD research. But there’s more: Evan’s heart required Britt to deliver at Boston Children’s Hospital. So Rhodie’s parents loaned Britt their Boston apartment for the four weeks leading up to her delivery at 36 weeks. They continue to welcome Britt and Evan to their apartment whenever he requires surgery at the hospital. Sometimes Joyride doesn’t raise money but raises self-awareness. Which, in Dianna’s case, proved far more valuable. 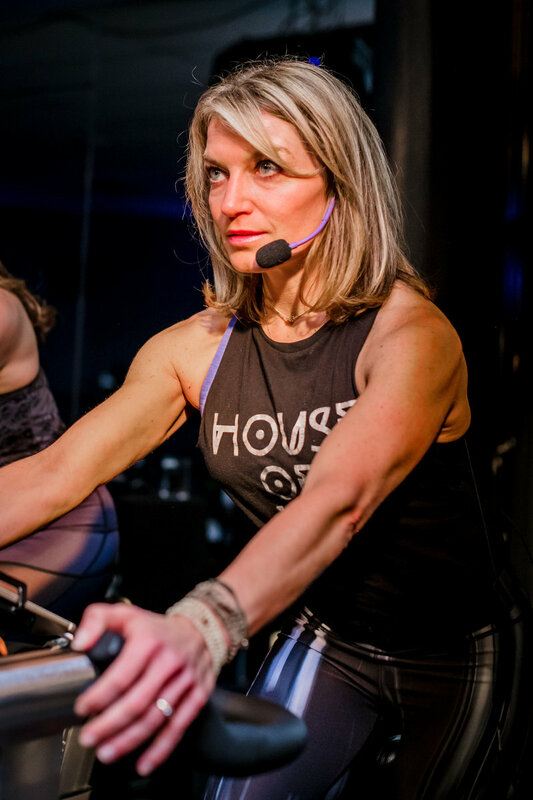 After years of marathons and pummeling her joints on concrete, Dianna became “addicted” to the low-impact, high-energy Joyride spin classes. While she loved the energy and music, she also appreciated the quiet moments in between songs. It was in this mindful state she realized something was wrong with her body. She was more breathless than normal and dizzy after jumps. 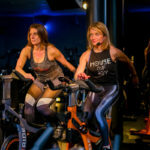 Ordinarily, she would have ignored such subtle inconsistencies, but the instructor’s urging of her riders to heed their physical state made her reconsider and try to figure out what might be causing her symptoms. After numerous tests, the doctors finally found the problem: benign brain tumor (acoustic neuroma). Had the tumor not been discovered and removed at that early stage, “It would have been larger and more difficult to remove with much more serious side effects. Truly, Joyride saved my life,” Dianna says. 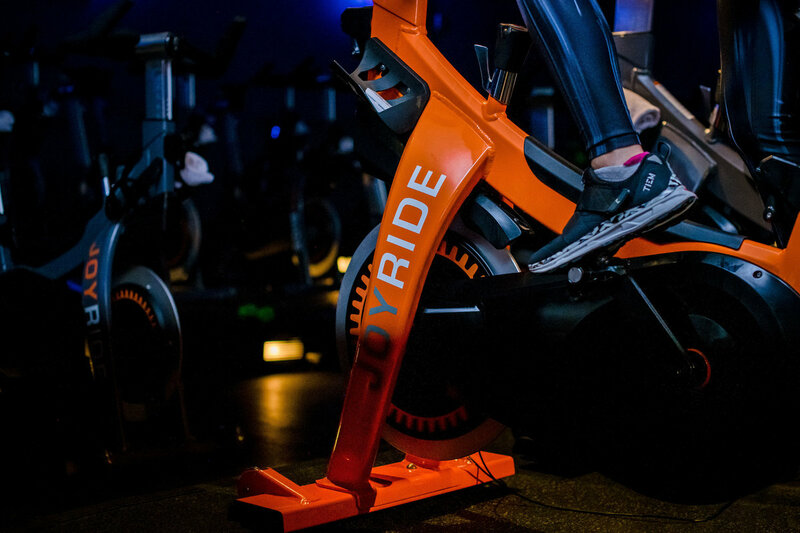 So when you wake up in the cold, dark hours of January cursing the psychopath who invented New Year’s resolutions, follow the bright logo to Joyride. It may not make waking up any easier, but it will make being awake far more rewarding.